Random.org picked number 6, which is BEAD QUEEN! Carol, I'll pop it in the post for you asap! For those of you who entered and didn't win, I will be doing another giveaway when I get to 20,000 views! Thanks so much to everyone who reads my blog. 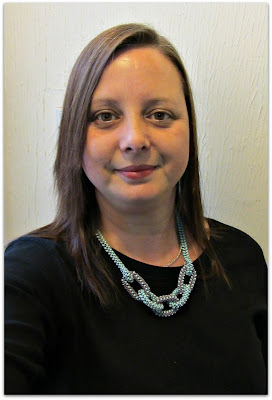 And here is Carol looking gorgeous in the necklace!